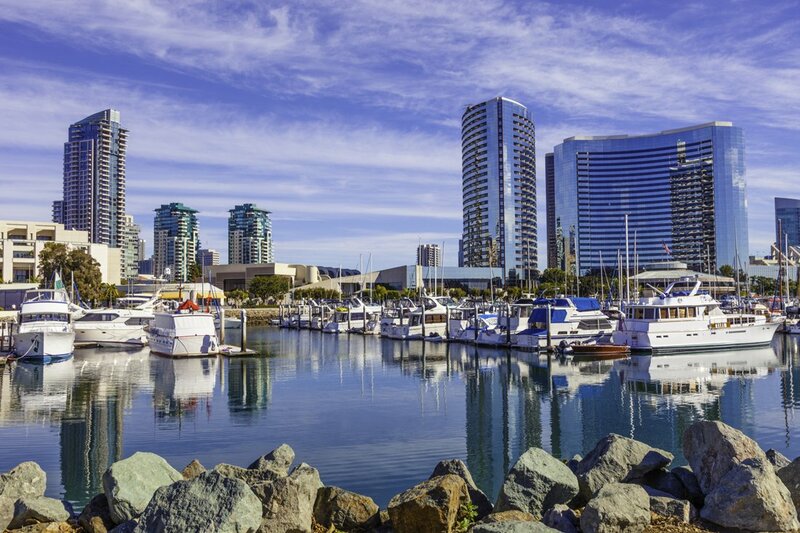 San Diego Home Sales website search offers all Santaluz homes, condos and foreclosures for sale. You are able to get new property listings daily that meet your search criteria. A luxurious golf club located about 30 miles north of downtown San Diego, Santaluz Golf Club, lies less than 10 miles inland from the shores of the Pacific Ocean on Southern California's southernmost coast. The area is located just west of Interstate 15 and west of the Black Mountain Open Space Park. 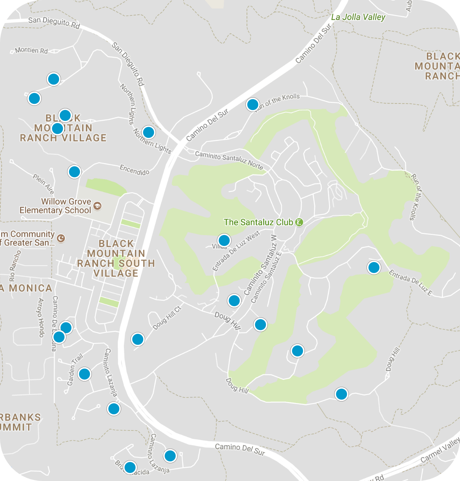 It also is adjacent to Fairbanks Ranch and Rancho Santa Fe. The community sits on 3,800 acre on a number of hills that offer some of the best aerial views of the region. The master-planned community has been named the Best Master-Planned Community in Southern California by the Building Industry Association, and it was also awarded the Gold Nugget for Best Land Plan at the Pacific Coast Conference. The Santaluz Clubhouse is open only to members and makes up a space of 35,000 square feet, with a spa included within the clubhouse as well as lounges, dining and a golf pro shop. Below the clubhouse is the 19,000-square-foot Hacienda, the centerpiece of the community and is the site for a number of recreational opportunities. Residents of the Santaluz property community can buy a membership to the Hacienda separate from club membership. The Hacienda has a grill, coffee shop, pool, six tennis courts, an indoor basketball court and a fitness center. The center of the community is the 250-acre, 18-hole Santaluz Golf Course designed by Rees Jones. The community is located in the San Dieguito River Valley, and it is gated, restriciting access only to residents and club members. The homes are populated with a variety of people, from younger families to older retirees. Many of the homes come with their own private pools, and several have ocean views. Building companies that operate in Santaluz include Baywood Homes, Centex Homes, Christopher Homes, DR Horton, Warmington and Taylor Woodrow Homes. Davidson at Santaluz - 3 floor plans from 3,802 to 4,672 square feet, up to 6 bedrooms and 4-car garages. Garden Homes by D.R. Horton - four floor plans from approximately 3,347 to 4,002 square feet, up to five bedrooms and four and one-half. Hacienda Sur by Centrex - 3,217 to 3,703 square feet with up to 4 bedrooms and 4 baths on home sites that average 1 acre. Posadas by Taylor Woodrow Homes - 4,766 to 5,565 square feet on home sites up two acres. Sentinels by Baywood Homes -2,175 to 2,900 square feet with three to four bedrooms, a third-floor tower retreat option, and 2.5 to 4.5 baths. Spanish Bungalows by Christopher Homes - floor plans ranging from 2,727 to 3,508 square feet with up to five bedrooms and five baths.